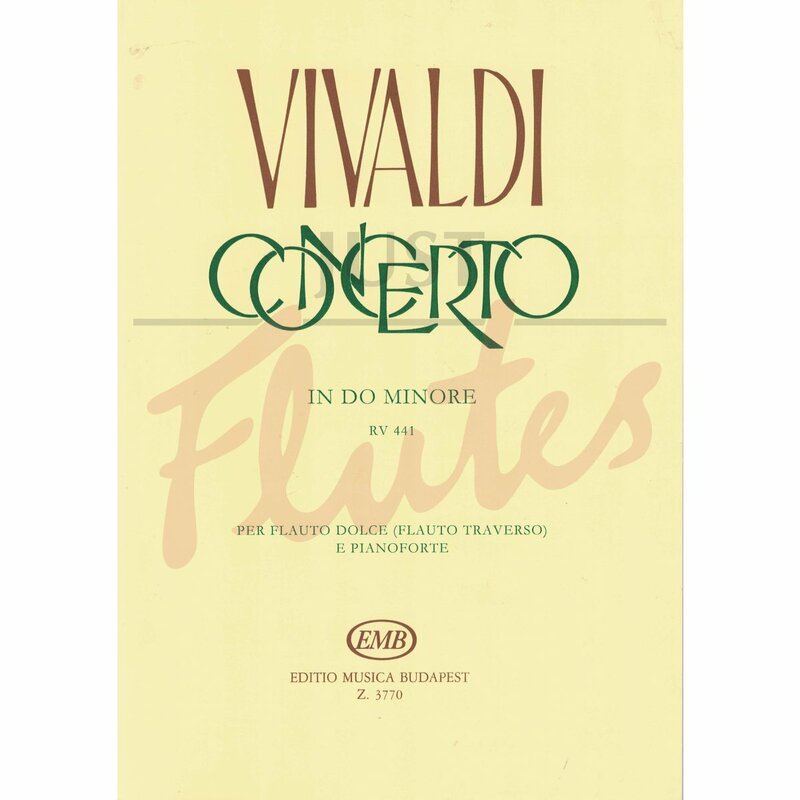 The source of the present edition of the Recorder Concerto in C minor by Antonio Vivaldi is the Collected Works of Vivaldi edited by Malipiero, published by Ricordi 1953. 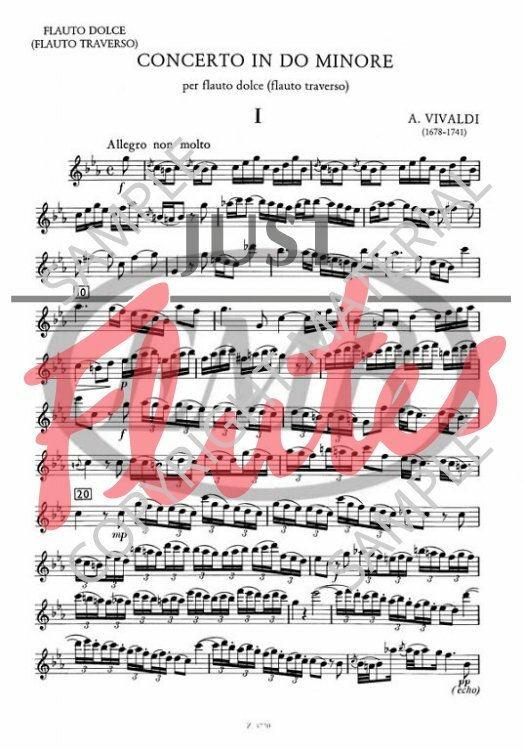 The title of the original score is "Concerto in Do minore per flauto, archi e cembalo"; the original setting: Flauto, Violini I-II, Viole, Violoncelli, Contrabassi and Cembalo. The arrangement for recorder and piano is kept in accurate conformity with the musical text of the score; the continuo part, however, has been more freely adapted (of course within the possibilities of baroque style). In contrast to previous arrangements, the piano part contains the entire orchestral material in the Tuttis, thus the soloist is not obliged to play all the Tutti parts. However, in Movement I and III the first and last Tutti may never be omitted by the performer.